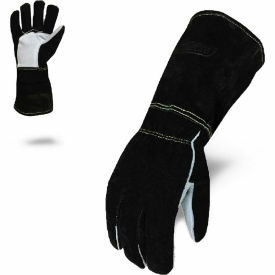 The Ironclad MIG welding glove is designed for the serious welder. It benefits from ironclad’s exclusive 16-point measurement system for best-in-class fit and function. Premium features combined with exotic materials optimize fit, functionality, and durability for the industrial welder. Great for MIG and Stick Welding.